There is no established public strategy focusing on the transformation from institutional to family- and community-based care in Serbia. The reforms in child welfare and child protection are not happening fast enough and the national funding for deinstitutionalisation (DI) reform is neither sufficient nor effective. The current financial system needs reforming because funding is based on the intervention logic of the available services and not on the individual needs of a child. Expenditures for residential and family care are the largest part of a total consolidated budget for social care services in Serbia1,2. The system also lacks quality standards for all services recognized by the Law on Social Protection. The government’s current priority is to create smaller residential settings for children in care by transforming larger institutions into small group homes (SGHs). It is a worrying fact that the new draft Law on Social Protection, introduced in July 2018, proposes that settings for children and young people should accommodate up to 25 users. Such provisions are unacceptable, primarily because of the high probability for additional admissions to residential institutions. The total number of children who live in alternative care in Serbia is 5,986, out of whom 666 are living in a residential care setting, while 5,320 are in foster care. The number of children living in disadvantaged families in Serbia has increased by 27% compared to 2011 and is now totaling to more than 162,000 children (13% of children’s population in Serbia).3 In 2017, there were 9,119 children under the guardianship in Serbia. 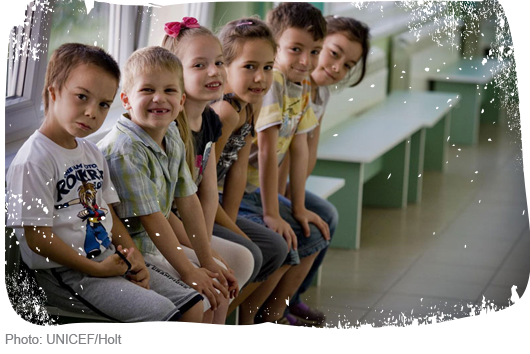 In 2015, 818 children lived in institutional care in Serbia, of whom almost 80% were children with disabilities4Children with disabilities grow up in overcrowded institutions where prescribed accommodation capacity of 50 children is often exceeded. In many instances, children are institutionalised in the same facilities as adults. Only 30% of these children are attending education. There is a significant number of children with disabilities who remain in the long-term institutional care. Despite the ban on placing children under three years of age in institutional care, their institutionalisation continues to occur. In 2017, 36 children under the age of three were being cared for in residential care institutions on the justification that they need constant medical attention. In Serbia, there are currently 5 small group homes in Nis, Negotin, Aleksinac, Banja Koviljaca and Belgrade for children with less severe disabilities. The accommodation capacity limit is 12 children per setting. The equipment in these SGHs is still underdeveloped and children need to visit institutional care settings to receive adequate medical treatment. In 2016, there were 5,320 children in foster care and 1,064 children in kinship care. 174 children from foster care (35 %) and only 24 children from institutional care (22%) have been reintegrated in the birth families. Last year, 698 families with 1,398 children accessed the family outreach service for families with children with disabilities; the family outreach service for families in crisis was accessed by 490 families (including 800 adults and 1,190 children)5 in 2017. After its piloting phase, the service has stopped due to the lack of finances. The service was only accessible in four cities (Belgrade, Novi Sad, Kragujevac and Niš) and not available for the rest of the country where approximately 70% of the population lives. The project “Family associate” can be seen as an example of a positive community-based practice, but due to the low outreach and unsustainability, it cannot be seen as an indicator of general improvement in the provision of this type of services in Serbia. In Serbia there are also 145 community day care services, out of which 68 provide help to families with children with disabilities.6 There is an utmost need for the prevention services to support families in crisis situations. There are semi-open institutions in Niš and Belgrade for children with behavioural difficulties between the age of 15 to 18. These facilities also accommodate refugee and migrant children. However, these institutions have only around 60 places and other unaccompanied children stay in temporary shelters known as “refugee aid centers” together with unrelated adults or open reception centers. Out of the 2,570 school-age living in reception and accommodation centres, only 130 were attending formal education and barely 23% of all children were in some form of education.7 Few collaborative projects were launched to tackle this issue, including the development of enrolment and support plans in eight preschools and two primary schools in Belgrade and Lajkovac with the aim to include refugee and migrant children in formal education next year. Reintegration of children and young people leaving institutional and alternative care is insufficient due to the lack of adequate housing, legal, health or social services, and educational and vocational training opportunities.8 The youth strengthening centre was established for young people aged 16-30 to provide them with employment support including finding the jobs. 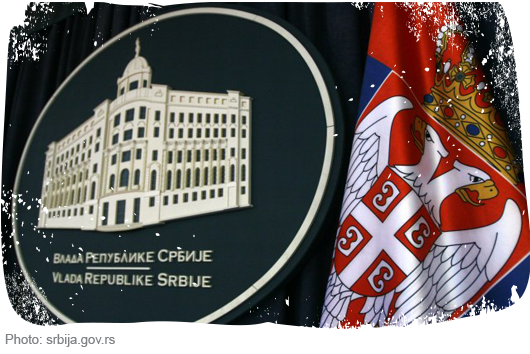 DI reform in Serbia have been funded by various donors. “EU Support to Social Welfare in Serbia”, funded under IPA 2013 and implemented by NIRAS Consortium in 2017- 2019, has awarded 30 grants to local communities throughout Serbia and held a number of consultative events. It is considered as a relevant contribution to the new Social Welfare Strategy for Serbia that will also embrace multiple good practices. Another positive development towards the DI reform in Serbia was establishment of two working groups on intensive family support services and on the transformation of institutions by the Ministry of Labour, Employment, Veteran and Social Affairs in cooperation with civil society, including MDRI, the Opening Doors campaign coordinator in Serbia. The outcomes include development of a Rulebook on good parenting and provision of support services to families at risk. 2 Data from the survey “Mapping of social services in the mandate of local governments”, Center for Social Policy, 2016. 4 This number refers to the total number of children (aged 0-18 years) who have been in total of institutions for children and young people in 2015. There was 77% number of children with disabilities in total of institutions for children and youth. Report on the children in residential care in 2015; ISP, 2016. 5 Report on implementing the Action Plan, Ministry of Justice, August 2017, Chapter 23. 6 “Mapping of social services in the mandate of local governments”, Center for Social Policy, 2016. 7 Refugee and Migrant Children in Europe, UNHCR, UNICEF and IOM, 2017. 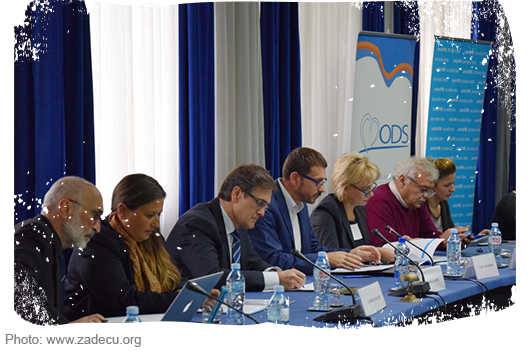 8 Concluding observations on the combined second and third periodic reports of Serbia, Committee on the Rights of the Child.